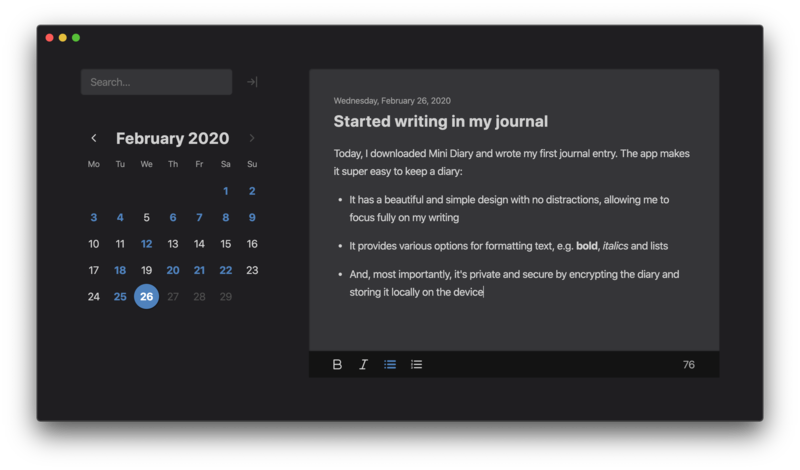 Mini Diary features a beautiful and clean design with no distractions, letting you fully focus on your writing. You're in control of your data. 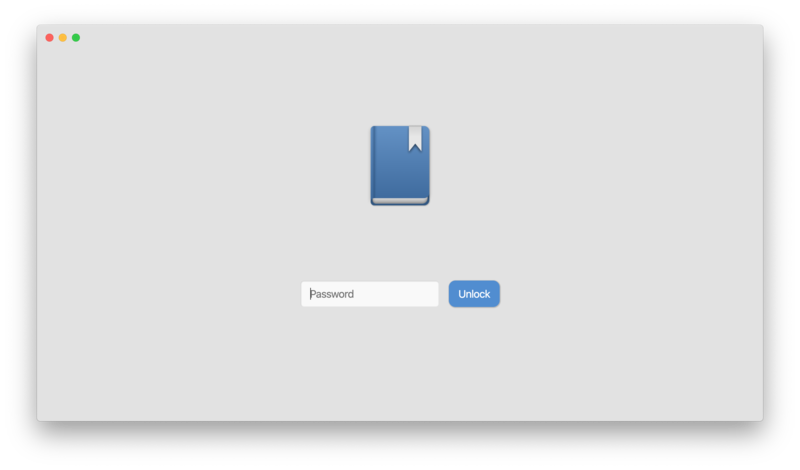 The journal is encrypted with a password and stored locally on your device. 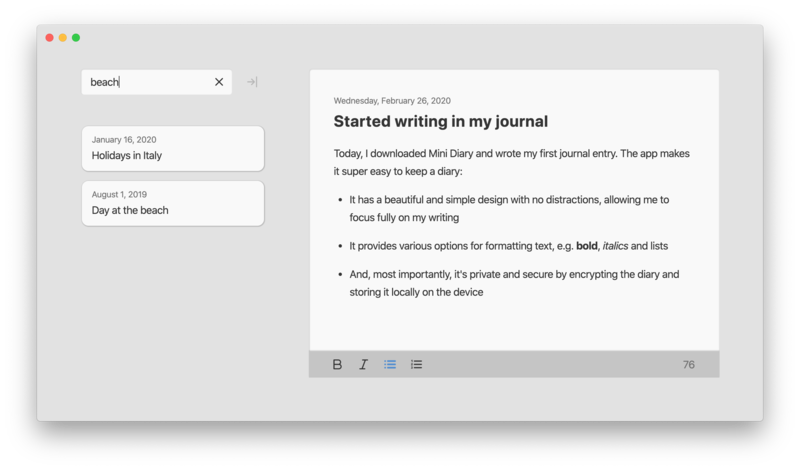 Mini Diary makes it easy to import your existing journal from other apps or export your data in various file formats. The app is and always will be free, and its source code can be viewed on GitHub.